If the Devil is in the detail he’d be right at home in either of the latest Torinos. It’s interesting to look back at my earlier reviews and see just how far the detail finish has come. What at the time seemed cutting edge has evolved to the point now where the level of sophistication isn’t just market leading, it’s world class – in every sense of the term. Torino and Torino Xtra are twins with differing personalities. 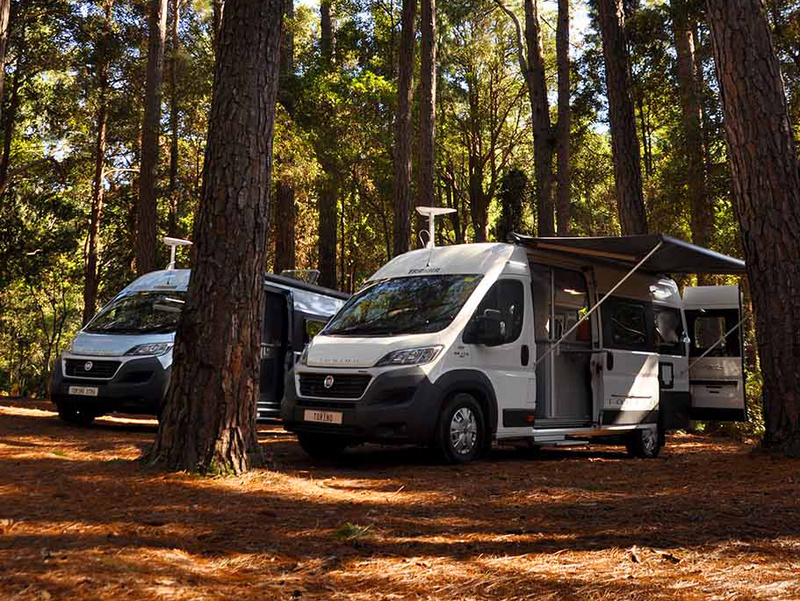 Each suits different buyer preferences and either is a terrific van-based motorhome. Torino provides the most sleeping room and the choice of single or a near-kingsize bed. It also has two dining options plus a clever little workstation when the driver’s seat is swivelled. If you don’t need to carry extra passengers and like room to stretch out at night, this is the one for you. Torino Xtra is ideal if want or need to carry passengers and/or value a permanent dinette. It’s east-west bed is less spacious, but surprisingly I found it long enough for my 1.85m frame simply by lying on my side with legs slightly bent, which is the norm. The bonus is the bed that hinges up on the driver’s side, making it a full walkthrough van with a huge rear cargo area ideal for all manner of lifestyle equipment (and it even has tie down points). Add the Remote Pack to either Torino and you add true versatility for all-weather touring and off-grid living. Add the Outback Suspension Kit and you’ll be driving the best handling Fiat Ducato on the road. For twins, Torinoand Torino Xtra do their parents proud. Maybe it’s the DNA, but both get under your skin and are well worth getting to know..
Wording and exterior images: Richard Robertson, iMotorhome.